storymama01 | Stories are like Roots to the Past… and Wings to the Future. The City of Philadelphia is one of 31 documented U.S. Middle Passage Arrival Sites recently approved by the UNESCO Slave Route Project as “Sites of Memory” associated with the Transatlantic Slave Trade. “Sites of Memory” or “Sites of Conscience” are “historic sites, museums and memory initiatives that activate the power of places of memory to engage the public with a deeper understanding of the past and inspire action to shape a just future.” The Philadelphia Middle Passage Ceremony & Port Marker Project submitted the request to UNESCO for consideration as a Site of Memory and has been granted permission to use the official logo. This designation occurs in conjunction with national and international commemorations of the 400th Anniversary of the first documented arrival of captive Africans to the English North American colony of Virginia in 1619. Several Philadelphia organizations are unfolding plans for events in 2019 to commemorate the 400th Anniversary. I urge the City of Philadelphia (and the Special Committee on 400 Years of African American History) to place the significance of this historical event within the context of its own role in the Slave Trade, the role of the slave trade in the founding of the City as well as the Nation, and the impact of silencing this history on descendent communities. The UNESCO designation affords our City with a unique opportunity for critical analysis and dialogue needed to address historical dissonance and historical trauma in our divided society. Acknowledge, acknowledge, acknowledge–Philadelphia is a documented port of entry for Africans during the Transatlantic Human Trade. * Data obtained from Voyages: The Trans-Atlantic Slave Trade Database, Emory University. The Port of Philadelphia on the Delaware River is one of more than 175 Middle Passage ports–ports of entry for enslaved Africans during the 350 years of the transatlantic human trade, in 50 nations of North, Central, and South America, the Caribbean, and Europe. Each year since 2013, The Philadelphia Middle Passage Ceremony & Port Marker Project (PhillyMPC) has observed Ancestral Remembrance Day on Penn’s Landing commemorating the nearly 2 million Africans who perished in the Middle Passage. On August 5th, 2016 a new historical marker “The Pennsylvania Slave Trade” was unveiled on Penn’s Landing, thanks to a nomination submitted by Charles Blockson, Curator Emeritus of the Charles L. Blockson Afro-American Collection, with letters of support from the local community. Image: PHMC Historical Marker for “The Pennsylvania Slave Trade” unveiled on Ancestral Remembrance Day Philly, Penn’s Landing. 8/5/2016. PhillyMPC continues to compile and disseminate research on the transatlantic slave trade (especially as it relates to Philadelphia), to hold healing and remembrance ceremonies and other events to encourage discussion, reflection and community initiatives toward reparation and reconciliation. PhillyMPC will celebrate Ancestral Remembrance Day 2019, with a series of events from August 5th to the 25th. We seek to work with other cultural, educational, civic and historical organizations to look critically at the institution of slavery in the Delaware Valley. The Delaware River, flows through the African-American past and present. It represents the pain of the Middle Passage, our connection to Ancestral homelands across the Atlantic; the triumphant survival of the descendants of those Africans, and our call for healing and hope for future generations. This site fulfils the quality criteria set by the UNESCO Slave Route Project in conjunction with the International Network of Managers of Sites and Itineraries of Memory. June 2nd is now August 5th! To coincide with the unveiling of the new historical marker, PhillyMPC has changed the date for Ancestral Remembrance Day Philly to August 5, 2016. Research identifying ports of entry for Africans during the 350 years of the transatlantic human trade* identifies the Port of Philadelphia on the Delaware River as one of more than 175 middle passage ports in 50 nations of North, Central, and South America, the Caribbean, and Europe. 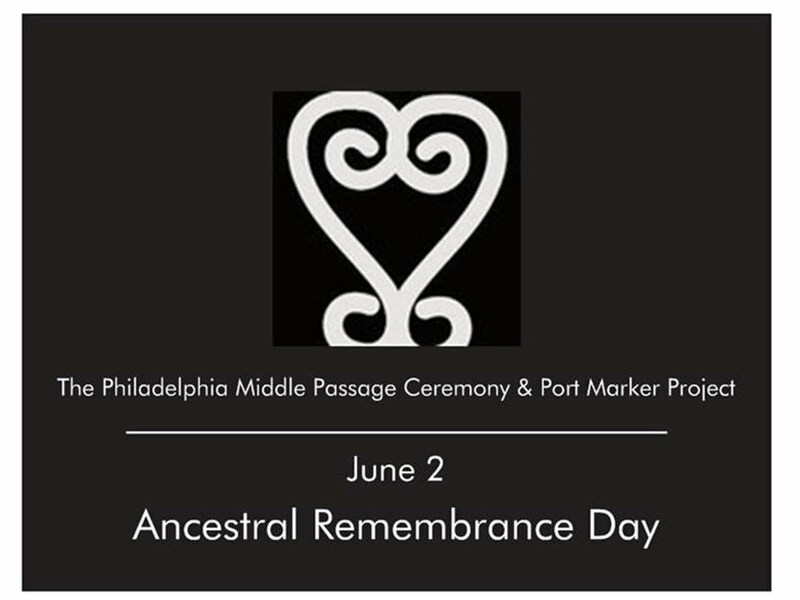 Each year, The Philadelphia Middle Passage Ceremony & Port Marker Project (PhillyMPC) honors African ancestors who perished in the Middle Passage by observing Ancestral Remembrance Day (formerly June 2, now August 5th**) on Penn’s Landing. Our primary goal was to gather public support for the installation of a historical marker acknowledging Philadelphia’s a role in the slave trade, and specifically, Penn’s Landing and other points on the Delaware River as “Middle Passage”* port. Well Philadelphia, we did it! In March 2016, The Pennsylvania Historical and Museum Commission approved a new historical marker “The Pennsylvania Slave Trade.” The marker is expected to be unveiled on Penn’s Landing, August 5th. Charles Blockson, Curator Emeritus of the Charles L. Blockson Afro-American Collection, submitted the nomination for the Middle Passage marker to PHMC. His application included letters of support from the local community. In solidarity, PhillyMPC has changed the date for Ancestral Remembrance Day Philly to August 5th. **The Philadelphia Middle Passage Ceremony & Port Marker Project (PhillyMPC) (established in 2013, by Denise Valentine), has worked to gather support for the nomination and to raise funds for the installation of the historic marker commemorating the lives of African ancestors who perished during the Middle Passage. All funds donated to PhilyMPC have been delivered to the Historical and Museum Commission toward the installation of the marker. For more information about the unveiling, contact the Blockson Archives: 215-204-6632. For more information or to volunteer on the Philadelphia Middle Passage Ceremony & Port Markers Project, contact Denise Valentine. 267-225-2541 of visit : https://sites.google.com/site/philadelphiampc/. 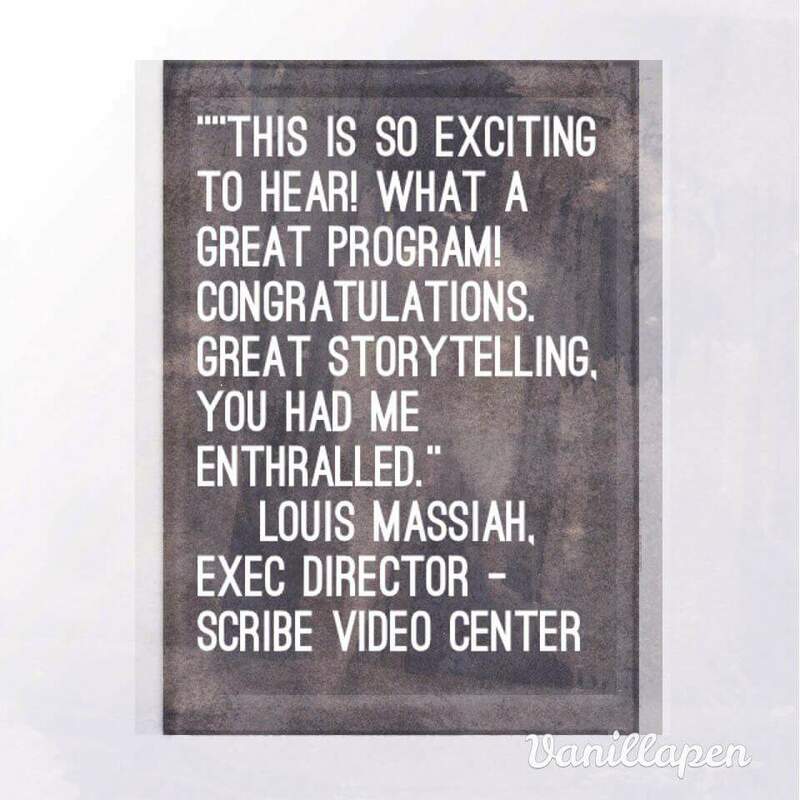 Winter 2016 Storytelling Performances! Penn State Schuylkill Haven, UNSILENCED and One Book One Philadelphia! Listen to Keepers of the Culture, Inc. (KOTC) tell the story of Paul Robeson on SoundCloud! 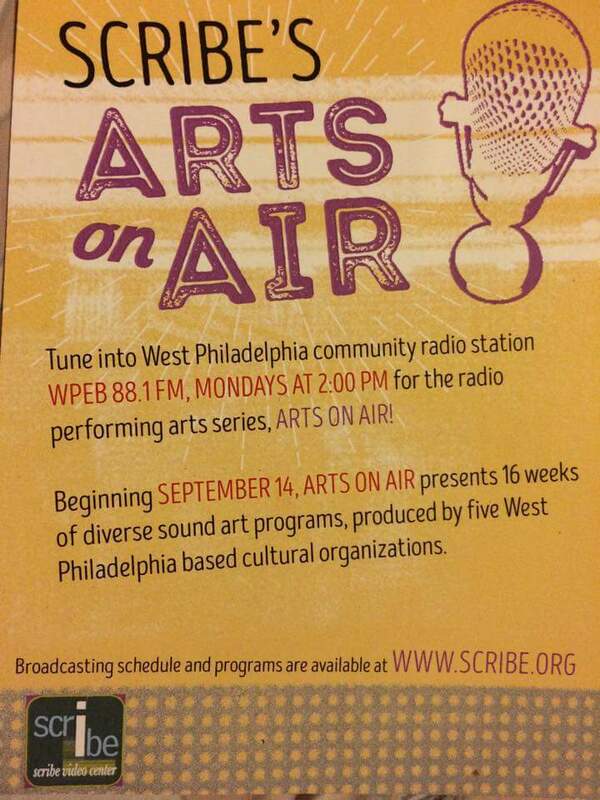 Brought to you by Scribe Video Center and PNC Arts Alive on WPEB 881FM Community Radio Station. Come out and enjoy Keepers of the Culture, Inc. Live in Performance at Sundays on Stage! Free Library of Philadelphia, Parkway Central, October 18, 2015, 2:00 PM. In case you missed it, see the rebroadcast of #Mysteries at the Monument featuring the President’s House on the Travel Channel, 9/4, 5pm EST. Or, Catch it on my YouTube Channel. The Philadelphia Middle Passage Ceremony & Port Marker Project is leading the movement to conduct an annual Ancestral Remembrance Ceremony at Penn’s Landing. Our purpose is to acknowledge the Port of Philadelphia, and other locations on the Delaware River, as a port of entry for Africans during the transatlantic human trade; to commemorate the nearly 2 million Africans who perished in the Middle Passage; and, to install a historical marker in their memory. On June 2nd each year, we observe Ancestral Remembrance Day with a Blessing of the River. We celebrate the triumphant survival of the descendants of those Africans, and their contributions to this nation. Finally, we call for healing and hope for future generations. We ask that you come to the river. Bring your prayers, bring your drums, bring your bells, bring flowers or candles, bring your voices, your stories and most important, bring your spirit to honor our ancestors and uplift our youth. Our gathering on Penn’s Landing will began at 5: 30 on the pier behind Independence Seaport Museum. Columbus Blvd. and Walnut St., Philadelphia, PA. Please also observe a moment of silence at 5:30AM, on June 2nd wherever you are in the world.